There has been a shortage of citrus posts here lately and I promise it hasn’t been intentional. My Meyer lemon tree has generously provided for me again this year but it feels like I’ve been out of town more than home on weekends lately. This is not a complaint; my husband and I decided that we would do the things we want to do instead of just talking about them–fill up the calendar with fun activities, seize the day and all that. We are trying to improve our quality of life, bringing back into it the things we’ve always enjoyed doing together–traveling (not necessarily to far away places), cycling, visiting museums–but over the last couple of years we’ve seen a deviation from habit. So yes, we’ve been spending a bit more time away from home enjoying quick getaways and it’s been fun. The only drawback for this blogger has been slightly less time in the kitchen on weekends. But if you love something you make it work, right? Gone are the days of lounging on weekends. In retrospect, the times we spend away are the most relaxing for me, even if it means scrambling to get things done before we leave and playing catch up when we return. When I’m home, I always feel the need to be busy and inevitably I find myself in the kitchen working on the next meal or snack or dessert. Because my mind is always active with obligations at work and at home, the time I spend focused on a recipe and photographing the finished product is, in another sense, a form of escape. These days, if I want to relax at home, I cook or bake. I picked a few lemons from my tree yesterday and baked these muffins. (As an aside, the resident buck is now able to reach the higher branches and has obviously enjoyed the Meyer lemon tree more than I have this season. I wonder if throwing a net over the tree will do the trick.) When I Googled a recipe for lemon poppy seed oatmeal muffins the two recipes I happened to click on were identical. I liked the simplicity of the recipe but I didn’t agree with the meager lemon component. If a muffin has “lemon” in its title, it should have more than 1 tablespoon of lemon juice in it. 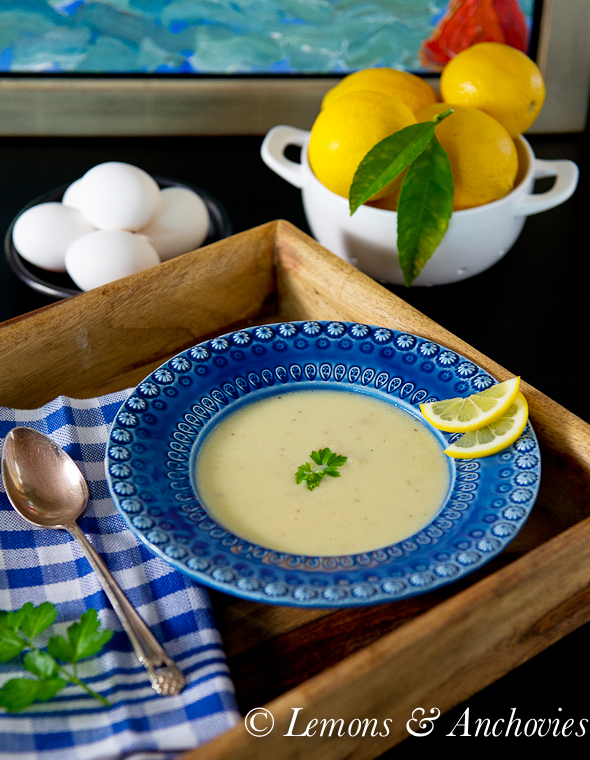 I added close to 1/3 cup in my version and since I was making changes anyway, decided to use nonfat milk, replaced the oil with double the amount in applesauce and added some lemon extract hoping to really make the lemon flavor pop. 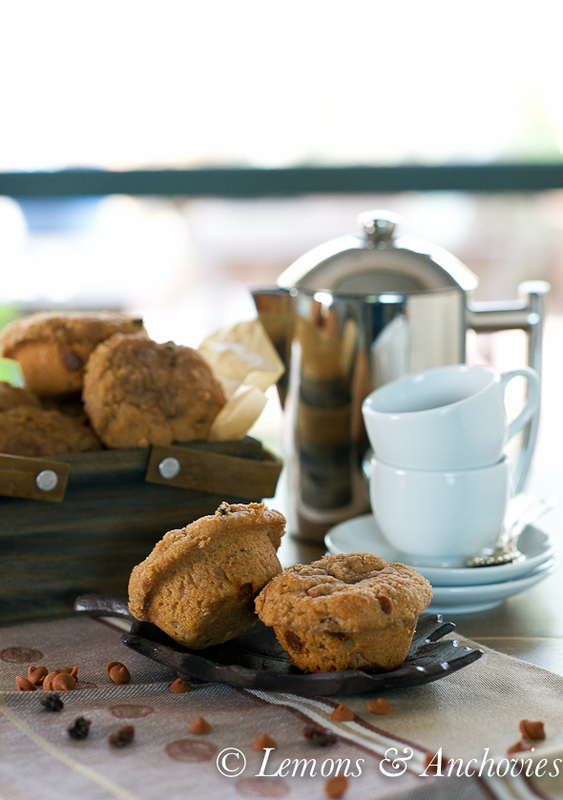 These muffins are virtually nonfat with only one egg in the batter and 1 tablespoon of butter in the streusel topping. And you know what? It worked. The muffins weren’t domed like I’d hoped they would be (maybe I used more liquid than needed?) but it didn’t matter. These muffins were full of lemon flavor with a pleasant crunch from the poppy seeds. The outside was golden with a slightly chewy texture–I kind of liked it that way. I was very happy to serve these to my husband who always craves something sweet in the evenings. Given the waist-friendly qualities of these muffins, I offered him the whole tray (he had two with milk) without feeling like I’d have to monitor his consumption (because his will power is zero when it comes to treats). I really liked these healthier muffins. I might have to negotiate with the buck to give up some of his claim on my tree so I can make more of these before citrus season is over. These muffins use nonfat milk and applesauce instead of butter and only 1 tablespoon of butter in the streusel topping. 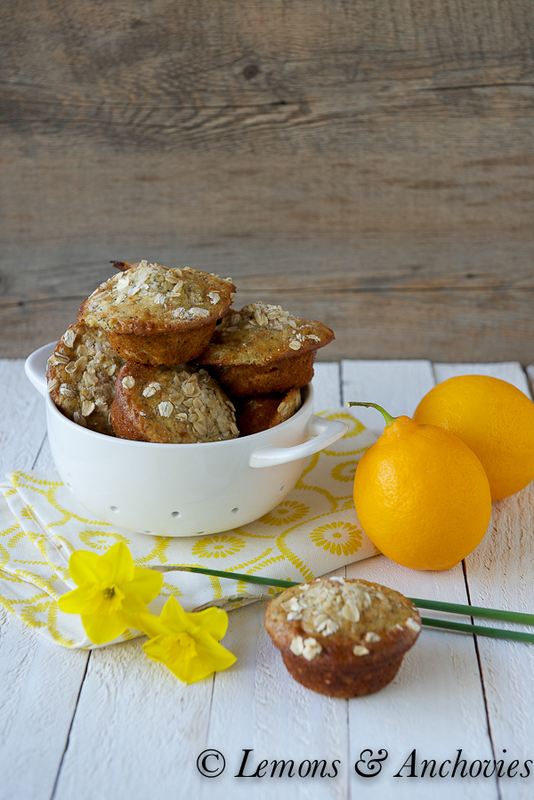 Moist and full of lemon flavor, you can enjoy these healthy muffins without guilt. Preheat your oven to 400℉. You can line your muffin tins with baking cups or spray them with cooking spray. I used the latter and just had no problem with sticking; just ran a butter knife along the edge of the muffin cups. Mix the streusel mixture and set aside. Combine the dry ingredients from the flour to the baking soda above and also the lemon zest in a large bowl and whisk to ensure they're incorporated nicely. Add the liquids--milk, applesauce, egg, lemon juice and lemon extract and stir to combine. Fill the muffin cups and stop with streusel. I used a ⅓ cup capacity muffin pan here so the batter filled to the rim. If you use a larger capacity muffin pan you will have more room. Bake for 16-18 minutes, rotating the pan halfway through cooking time. I found two identical recipes on the web and using this one as my source: http://www.food.com/recipe/lemon-oatmeal-poppy-seed-muffins-114247 I made several changes: used nonfat milk, replaced the oil with applesauce and used considerably more lemon. 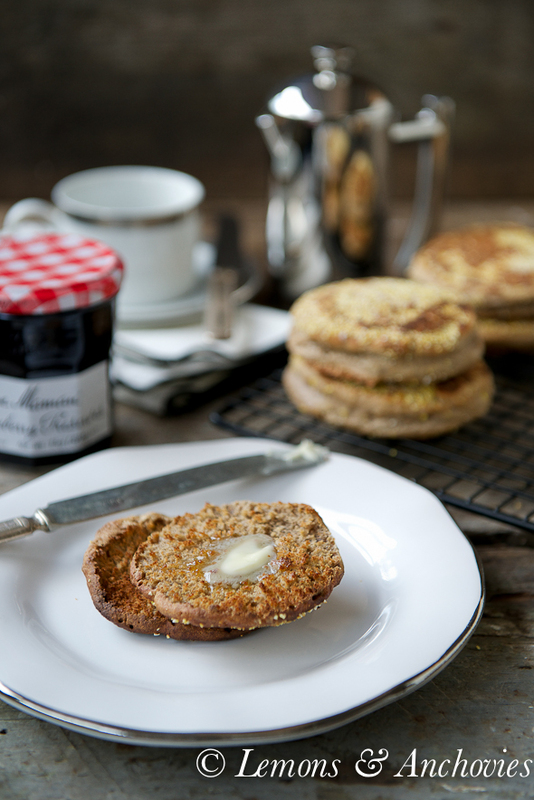 Jean, I’m loving these lemon poppy seed muffins…I may go bake them right now for the weekend! Thanks for this great recipe! Happy Friday!!! I smiled at the “will power is zero” -both the hubs and I have this problem! Let alone one sweet tooth in the house, two and a little sweet toothed monkey as well calls for disaster! Always happy to discover new low fat goodie ideas 🙂 Oh and you have your own Meyer lemon tree?! Wow! will your amazingness never cease! These are the perfect muffins for me, I just love oatmeal and baked goodies with lemon 🙂 This recipe goes right away on my must-bake list, thank you so much for sharing! Good for you and your husband Jean. I’m guilty of getting caught-up in work without taking enough time to really enjoy life. The days away, as you said, are stress free — specially if no technology is involved. :) Your muffins are perfect, I’m always in awe of your baked goodies. How wonderful that you have your own Meyer lemon tree. They have such a lovely, mellow flavor. 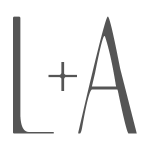 You and your husband have a great idea to fill the calendar with things you want to do. It seems weekends go by too fast and we don’t do the things that help us recharge for the coming week. I love hearing (and seeing) the adventures that you and your husband have been on! I also love these muffins! Thank you for increasing the lemon amount- I can’t stand it either when a recipe calls for a measly tablespoon or two of juice. These look healthy and gorgeous. I know what you mean about being busy at home. It’s necessary to get away to really relax. 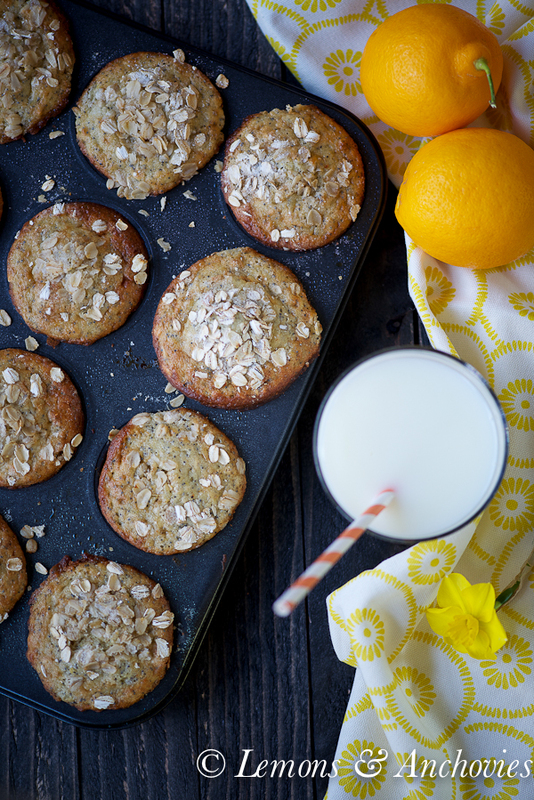 Beautiful and love that they are good for me, lemon is such a great flavor and I love oats too. Your muffins look mouth watering. Lucky you get to get away as much as you do! Good for you! But I am glad you found the time to share these lovelies with us! I love the combination of poppy seeds and lemon. I love citrus fruits. This is a wonderful recipe and your muffins look delicious! I was excited for this recipe, I am going to have to give it a try! 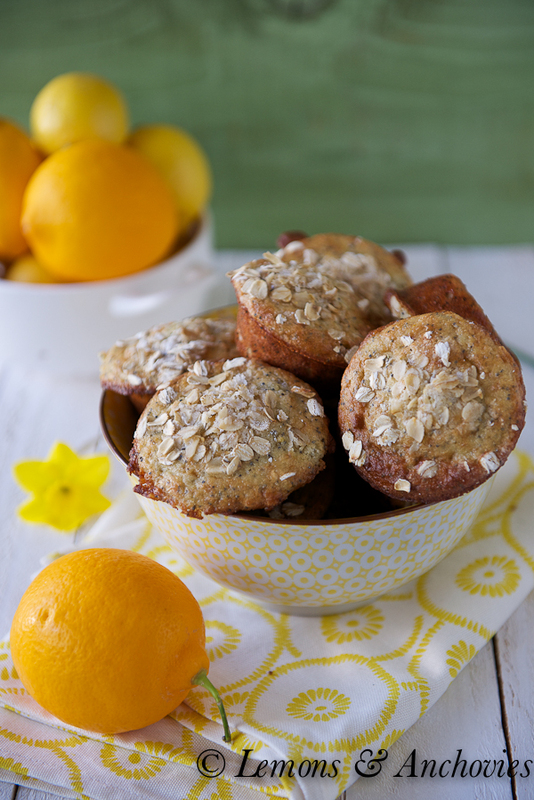 You know I love muffins, and the lemons and oats sound like a great combination! Love the lemon theme!!! I adore the fact that they are less fat but have all of the taste – yeah! We are busy around here too and I am finding a bit less time in the kitchen – perhaps this weekend. Hope your week is going well. I made these and they are fantastic! Crumbly yet still moist. I didn’t have any applesauce and was’t that concerned with them being low fat so I substitiuted 3 tbsp. butter. Thank you! These turned out fantastic! I made them as a present and they were a hit! Thank you so much for a healthy AND delicious recipe that was easy to make!